Cory St. Esprit with a friend. Cory St. Esprit (in photo at right) is an academic with an activist’s heart. He is currently working on a Ph.D. in geography at Ohio’s Kent State University, where he is studying child slave injustices in Haiti. But that’s not all. Cory is also the director of the STOPdoingWRONG Campaign, a ministry of CPR-3 that seeks to address the social injustices that plague the people of Haiti everyday through education, advocacy, and collaborative partnerships. “My dissertation is broadly looking at issues of human trafficking and, more specifically, child slavery [restaveks] in Haiti,” Cory explains. More than 250,000 children in Haiti are restaveks, a modern day form of child slavery that persists throughout the country of Haiti. 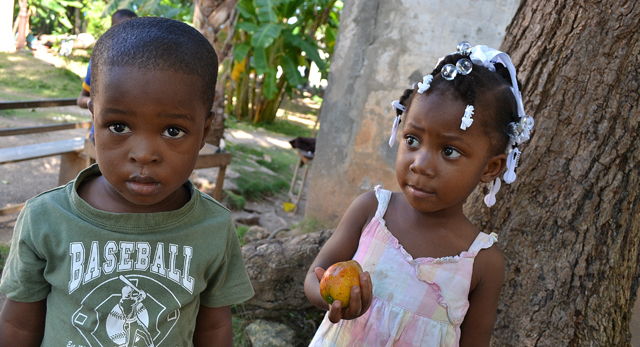 “Restavek” is Creole for “one who stays with.” Children born into rural poverty are sent to live with families or strangers in the cities, lured through false promises of education, food, and jobs. Once there, they are forced to work an average of 18 to 20 hours per day for no pay, given inferior food and clothing compared with other children in the home, sleep on the floor rather than in a bed, and are kept hidden from Haitian society. If these children do not perform, they are beaten, cast into the street, or killed. His research looks at increasing collaboration among agencies working to fight restavek through a Collective Impact framework. He examines what work is being done, where they are located, and what is the sphere of influence, then looks at how to increase collaborative partnerships through meeting the five criteria of Collective Impact (common agenda, shared measurement, mutually reinforcing activities, continuous communication, and backbone support agency). Prior to joining CPR-3 as a volunteer, Cory was on staff with a church in the northern suburbs of Pittsburgh, Pa., where he served with student ministry, sports ministry, and was a part of ministry in Cap Haitien, Haiti. 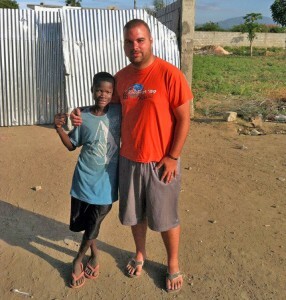 Cory traveled to Haiti four times and wrestled with whether God was calling him to move to Haiti full-time. “On my last trip, God made it clear that I was not to move there but find some way to continue to serve Haiti from the United States.” Letting the Lord lead, Cory decided to do just that. Cory and his wife, Abbey, live in Cuyahoga Falls, Ohio, where he also works with the United Way of Summit County. They attend Grace Church in Akron, Ohio (Jeff Bogue, senior pastor), the church through which he first became involved with CPR-3.